The $156,000 Bottle of Vinegar! I love this story! As most of you are aware, I am a red wine drinker. I love wine, and I love all the nuances that go along with a particular bottle of wine. I love to know when and where the grapes were picked, how it was aged, etc. A few years back, I even took a vacation to the Napa Valley in California, and spent a week visiting vinyards and asking lots of questions. By far my best vacation, and I plan to go back one day. One evening as I was enjoying a particular good glass of wine, I wondered about the ‘Most Expensive Wine’ ever sold. 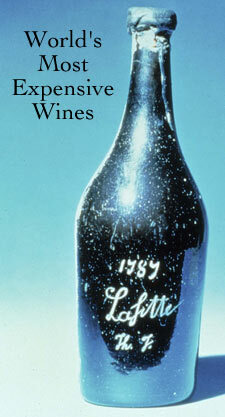 I come to find out it was in 1985, when Malcome Forbes paid $156,000 for a bottle of 1787 Chateau Lafitte Bordeaux, believed to have been in the wine cellar of Thomas Jefferson. (The 3rd President of the United States and the man who wrote the Declaration of Independence). 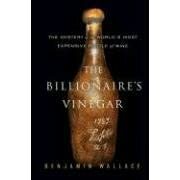 The sale of this bottle of wine was the subject of a book by Benjamin Wallace called ‘The Billionaire’s Vinegar”. You see, the wine is undrinkable. It is basically vinegar in a bottle. But still, it is believed to have belonged to Thomas Jefferson at one point. The discoverer of the bottle was Hardy Rodenstock, a pop-band manager turned wine collector with a knack for finding extremely old and exquisite wines. But rumors about the bottle soon arose. Why wouldn’t Rodenstock reveal the exact location where it had been found? Was it part of a smuggled Nazi hoard? Or did his reticence conceal an even darker secret? This is what the book is about, and I will definitely be adding it to my collection. It’s the Sirius 2008 Bordeaux, a Merlot and Cabernet blend from the Bordeaux region of France. Silver Medal Winner of the 2010 Bordeaux Competition, but that’s not why it’s going to be the wine in my glass tonight. I’m going to have a BBQ! I am grilling Ribs & Wings. So I needed to find a wine that was going to go great with both grilled pork and grilled chicken. The ribs are going to have a marinade, and I haven’t decided how I’m going to do my wings yet, so I had to pick a versatile wine. This wine goes great with grilled food. It’s a dry, medium bodied wine aged in oak. I love the spice in this wine, and because the wine has a hint of spice it goes well with a wide range of foods. It’s aged perfectly, and the winemaker, Maison Sichel, says this wine will drink perfectly between 2011 and 2015. I love it. Like I said, this wine is very versatile, and I like that characteristic in wine and people. This wine sells for $19.48 in the Newfoundland Liquor Stores and worth it.